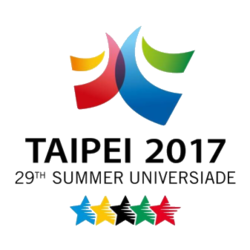 A delegation from the International University Sports Federation’s (FISU) International Technical Committee (ITC) has embarked on a visit to Chinese Taipei to inspect preparations for next year’s Summer Universiade. The visit is due to conclude on Sunday (October 2), with the 17-strong group, led by chair Jean-Paul Clemençon, reviewing the competition, the setup and the sports display of practice venues for 14 different sports. Badminton, diving, fencing, water polo, rhythmic gymnastics, artistic gymnastics, roller sports, swimming, archery, baseball, football, basketball, athletics and volleyball are all due to be inspected by the ITC. It comes after Taipei Mayor Ko Wen-je said the Government in the country would take a look at the state of a number of venues following Typhoon Meranti, which struck the region on September 15. One person lost their life during the "Super Typhoon" - which is classified when wind speeds reach at least 150 miles per hour. Ko claimed it could be seen as a “"stress test" of the facilities for the Summer Universiade, due to take place from August 19 to 30. Typhoon Malakas, which also impacted areas of Japan, then caused further damage in Chinese Taipei five days later. Four people were then killed and 524 were injured in as a result of Typhoon Megi yesterday, the third to hit the area within the last month. Taipei 2017 Organising Committee chief executive Su Li-chiung had earlier stressed that venue construction was on track following claims they had fallen behind schedule. In an interview with the Taipei Times, Su insisted they were no delays and that reports of issues with the building progress of facilities due to be used during the Summer Universiade were wide of the mark. "People are concerned that construction has fallen behind schedule, but that is not actually the case,” she said. "Some venues can be completed in just two or three months. "If we build things too soon, it will cause trouble for schools - they will be concerned that things will break before the Games, and then what can they do? Su also claimed "careful consideration" had been given to the budget for the event amid fears of spiralling costs. "The most important consideration has been Mayor Ko’s approach to finances," she added. "He said we should not 'arbitrarily inflate the budget,' but rather give it careful consideration and be more prudent in our planning. "For example, when acquiring equipment for the Athletes’ Village, the Mayor set a guiding principle: If it can come from a sponsor, get it from a sponsor; if it cannot come from a sponsor, rent it; and if it cannot be rented, only then buy it. "Even then, if something is purchased, it must be usable after the Games have concluded."